about 30,000 eggs each year…that’s a return of $3000 per annum (@$0.10 bounty) per female. Since they naturally “free range” I wonder what the best stocking level is when out doors? Ours self populate but are difficult to herd, harder to trap than a “pollie” side stepping a promise. Bob’s hat might come in handy? p.s. I’ve put the copper pipe aside for the next scrap metal run. Among other things, the paper, called “Turning the tide on single-use plastic products”, suggests state laws could also be used to ban single-use plastic products in a similar way to the 2009 lightweight plastic bag ban. 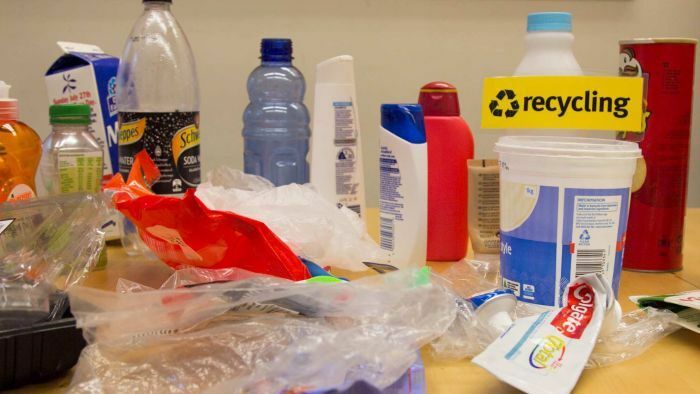 “Similar legislation could be developed to provide a flexible and long-term framework that enables bans on various single-use plastic products, with varying timeframes and impact assessments,” it said. Wonderful news. edit Hope it progresses. Does that include bic biros and kids texta colour pens? In the mean time someone still needs to provide a solution for all the other stuff that needs to be reclaimed for recycle, reuse in some other product or disposed of in a way that leaves no future legacy. While it’s possible to sort household waste into even more piles or groups we still do not have the collection systems or ability to manage what is left over from what we will collect and recycle? Perhaps other than a few select items that can’t be left in the open we should create a couple of big open dumps for every thing else, sort of like a desert grave yard. I wonder how quick it would fill up, how obvious it would be and just how much potential might then exist to deal with it in a better way? Does the fact that we can’t do everything immediately justify doing nothing forever? 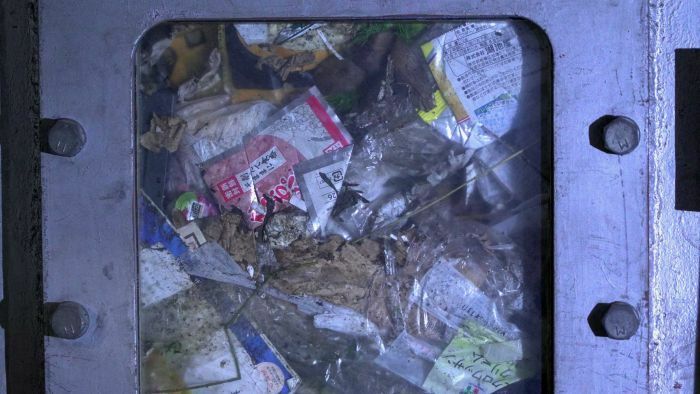 We already have garbage dumps that are visible from space. just how much potential might then exist to deal with it in a better way? I have! 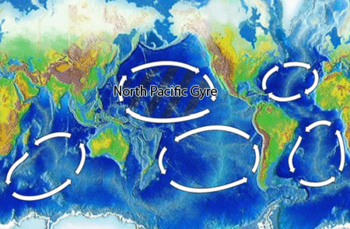 Like the Pacific and Atlantic garbage patches, and doubtless ones elsewhere make it more visible. The more the better as awareness will help encourage reduced or smarter use, while the boffins find better ways to deal with the mess we have created. It’s a farce to go on digging holes and hiding it all. The quip about the biros and textas was not intended to challenge the intent of the proposal. Poor on my behalf! I’ve added a little more that corrects the poor phrasing. It would seem to be a logical step. One pen holder, multiple cheap refills. And not the stupidly priced Parker pen ones. A packet full of bic tips and tubes would do, We all know the outside housing of most biros hides a cheaper insert? Just a little nibble of the elephant though. An article regarding the container deposit scheme in Townsville. 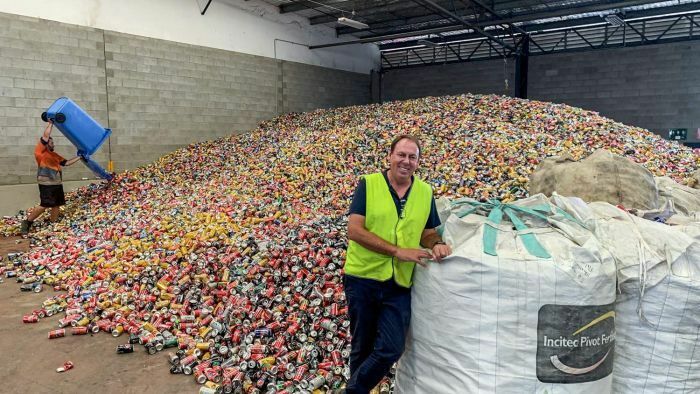 A North Queensland recycling depot stockpiles more than 1 million aluminium cans due to a surge in participation in the container refund scheme. No such lengthy queues at NQRA in Cairns. The first 2 times I went there, I was the only vehicle, and the last time, there were 2 other vehicles. It is a drive-through shed with a 2-street frontage, lots of sorting tables, ample staff and some fancy recycling machinery including a new Godswill unit. Last time, I noticed that 2 huge Fronius solar inverters had been mounted on the wall so they must have installed a massive solar system. The container deposit scheme is just a small part of their recycling business which also occupies several adjacent sheds, and it is a hive of activity with staff and vehicles constantly moving. Another article regarding recycling and waste management. A new method of processing household rubbish will ensure 90 per cent of waste will be kept out of landfill. 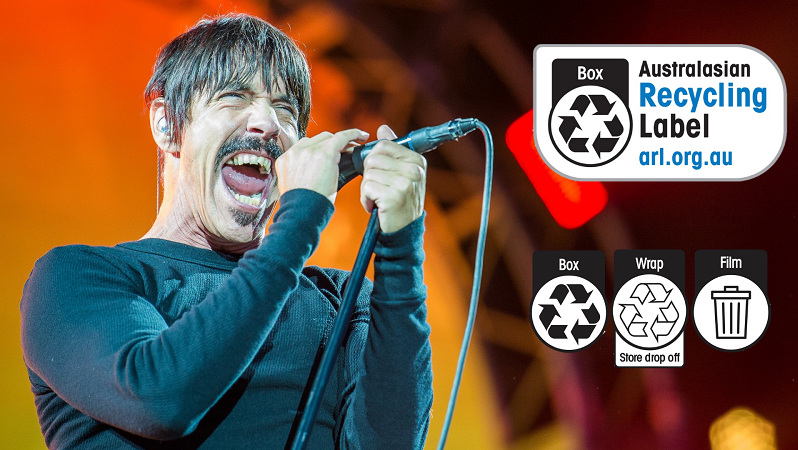 Take the Australasian Recycling Label Quiz for a chance to win tickets to see Red Hot Chilli Peppers! A copy of an email I just received regarding a petition I signed on Change.org.au. 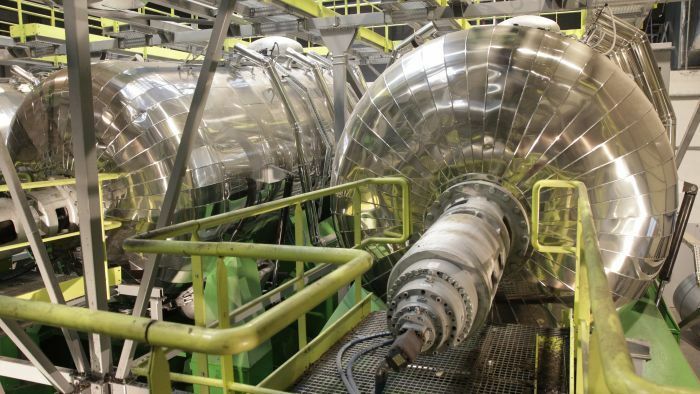 An article regarding waste-to -energy plants proposed to be constructed in Australia. It seems incredible for a country of under 25 million, Australia generates around 67 million tonnes of waste annually. That is almost 2.7 tonnes for every man, woman and child in this country. Waste to Energy also increases carbon emissions, and while it removes a lot of plastic etc from getting into the environment it is still a carbon addition using as it’s origins fossil fuels rather than renewable resources. This could be a sword that cuts on both sides. The amount of waste is not surprising considering the amount of rubbish a typical household disposes of each week. The wrappings, the broken disposable tech, the furniture made to be throwaway and so on. A few articles regarding recycling in Australia. How did Elli reduce her annual household waste down to a single jar? 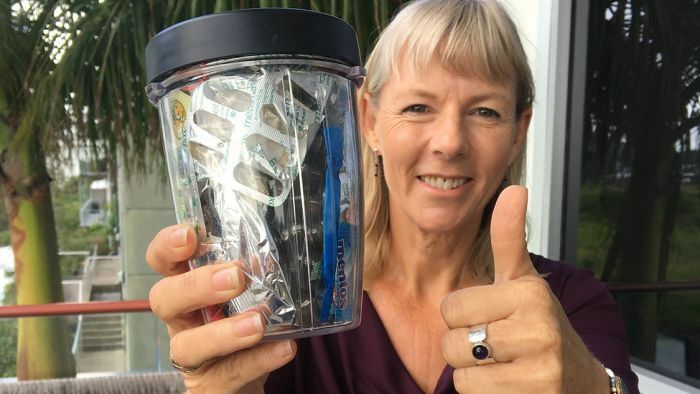 For 12 months Queensland woman Elli Webb set out to reuse and recycle her household waste, and with some ingenious ideas, she achieved her goal — reducing her waste to the contents of a single glass jar. 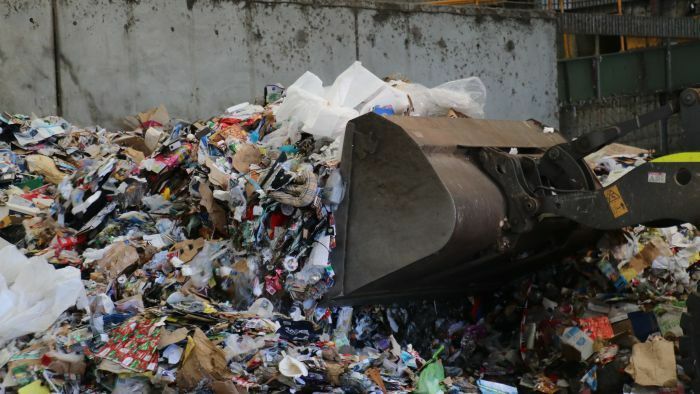 With China refusing to import mixed recyclable material, the Greens have proposed a $500 million investment to reboot the local recycling industry. But the industry itself has laid out a roadmap it says will cost just $150 million. Another article regarding the container deposit schemes. 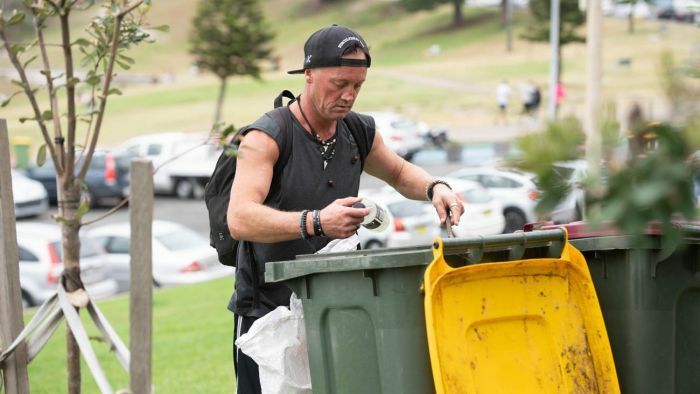 A stoush is brewing between self-described bin chickens raiding our rubbish for refundable containers and the waste industry, who are both looking to cash in on recycling. Geez, I wouldn’t have guessed that there were enough ‘bin chickens’ to upset the councils/waste industry, but here we are. A good mate of mine lives in a unit complex (townhouse style) in Brisbane and says that around 3am on bin collection morning, he (and other residents) is awoken by a two fellow in two utes. The they tip the recycled bin contents out into the tray of the first ute and sift through getting out any containers which have deposits, and then throw the containers into the second ute. They then empty the tray of the first ute back into the recycling bin and move the next bin. At their complex, it goes on for about 30 minutes. One of the residents has had a go at fhe fellow to no avail and was threatened, so now they lay in bed until they pass. The other problem is they aren’t very clean in their activities and residents have to go out before bin collection and place recyclables which didn’t make it back into the bin and lay on the ground back into the bin. A few residents are also now wait until they hear the recycling truck nearby before moving the bin out onto their verge. He had also says that that the participation in the refund deposit rates in his complex is low (making it lucrative for bin hens) as the residents think it costs more (time and money) to take them in than the refund received. As a result, they have created a problem which does not appear it will be going away any time soon. As mentioned in an earlier post, it hasn’t impacted on level of litter in our suburb. Even today I collected 4 thrown away deposit containers which I will return. Note…I did this before the deposit scheme and used to place them into our recycling bins…so the impact on rubbish is neutral in our area or hasn’t changed. Wow, that’s a bit of a worry. Apart from the noise and mess, it sounds like a pretty aggressive situation. Might be worth your friend grabbing the plate number and making a police report, which could be important if there is ever an incident. I have suggested the same to him as well. Not sure if they want to make an issue of it though. I even suggested buying a recycling bin, cutting a 100mm hole in the top, locking the lid closed, placing it somewhere reasonably secure and getting all residents to use it for disposable containers. These containers could be given to a a scout/community group or school to claim the deposit back. Appears this may be to hard as they need body corporate and resident approval and also agreement on where the bin is located. The most effective step in waste management is to reduce the amount of waste. At present, producing waste is profitable. The producers don’t have to pay the costs of dealing with the waste. Extended producer responsibility seems a sensible initiative (though totalitarian capitalists will whine). They are also refining an effort begun in 2016 to establish “extended producer responsibility,” or EPR guidelines that require manufacturers to pay for the collection and recycling of waste their products become. The most effective step in waste management is to reduce the amount of waste. This is true…and why most waste management strategies developed by government and/or industry has this as the number 1 principle. If waste is not produced/is minimised, then it’s management is not needed/is significantly less. We just need to change our collective mindset of ‘a throw away society’ and ‘out of sight and out of mind’. The one targeted by extended producer responsibility is the age-old “privatise profits; socialise costs”. Disposable packaging externalises costs. The community ends up paying to deal with the trash. Imposing those costs back on the producer should discourage production of the waste. Yes, it’s partly a community mindset issue but, if the disposable packaging isn’t produced, then the problem is nipped in the bud.